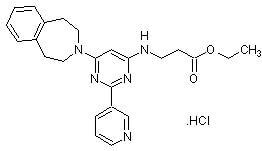 Cell-permeable, inactive control for histone demethylase JMJD3/UTX inhibitor GSK-J4 (ab144395). Active in vitro. Publishing research using ab144397? Please let us know so that we can cite the reference in this datasheet. There are currently no Customer reviews or Questions for ab144397.